Annually children, adults, and communities join together to continue the fight and commitments to live a drug-free life. St. Malachy has also joined the fight and is committed to live a healthy life. 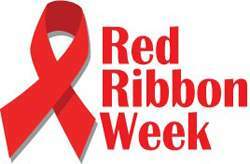 Red Ribbon Week began in 1988 in honor of (DEA) Drug Enforcement Administration Agent Enrique Camarena, who was kidnapped and killed in Mexico in February 1985 for uncovering a multi-billion drug scam. The country has been committed for 26 years , we too must continue supporting his fight and the cause he gave his life by wearing red ribbon sending the message: Live drug-free! National Red Ribbon Week is the last week of October which is celebrated with different themes to assure understanding all across grade levels.